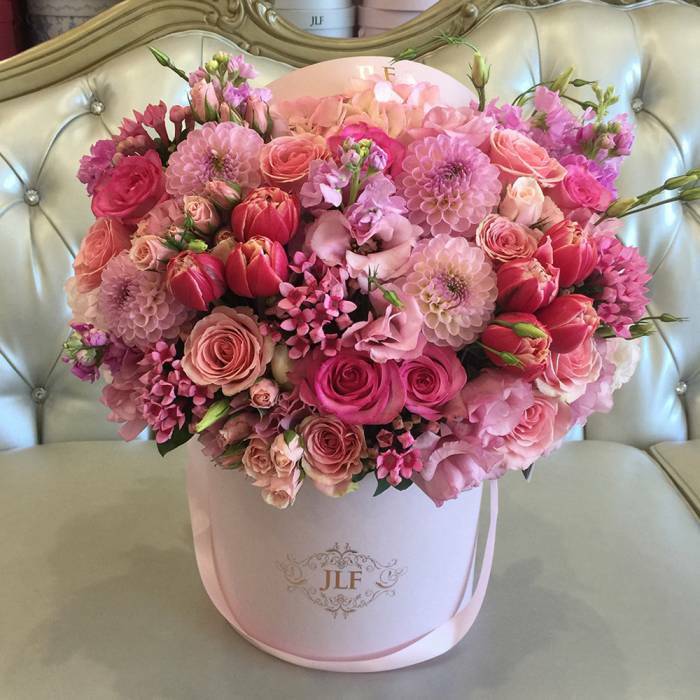 This gorgeous arrangement is full of tasteful shades of pink and will surely bring sweet smiles to the lucky recipient! The arrangement was made with a darker and lighter tone of pink roses, pink lisianthus, pink dahlias, dark pink tulips, pink bouvardia and pink stock. The arrangement in the photo is in a medium size box.